To find a publication, select a specific area of interest from the choices below. Fishing Passport * - Try to catch and document the 150 species listed in the Passport. For each species caught, you can obtain a stamp documenting your achievement. Farming for Wildlife * - Voluntary practices for attracting wildlife to your farm. Farming for Wildlife funds no longer available. For more information on other land management programs, contact the Wildlife Branch at (916) 445-3406. 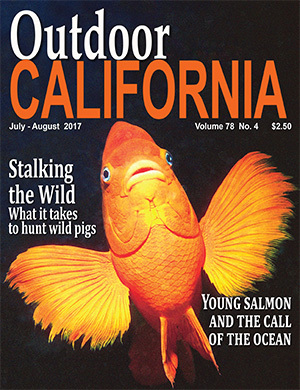 Halt the Spread of Nuisance Fish Species * - Brochure on having "the wrong fish in the wrong place"
Outdoor California Magazine - The Official California Fish, Wildlife and Habitat Magazine. Each issue offers California at its best—compelling stories on the state's native species and habitat, presented with page after page of beautiful photographs. All of this plus the Thin Green Line, which chronicles California's war against poachers! Fish and Game Scientific Journal - California Fish and Game is CDFW's official, quarterly, scientific journal devoted to the conservation and understanding of the flora and fauna of California and surrounding areas, and the eastern Pacific Ocean. 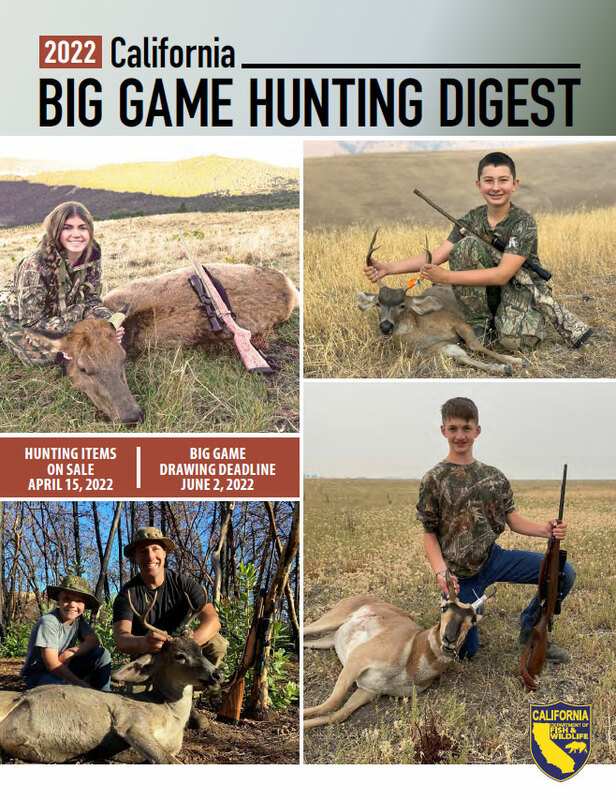 California Hunting Digest - A free, quarterly resource for hunters. * These titles are available in print. Print copies of these publications will be shipped to California residents only -- send request to Publications@wildlife.ca.gov. Non-residents are welcome to download files from our website. or leave a message at (916) 322-8911, including your contact information. Alternate formats of these documents will be made available upon request. If reasonable accommodation is needed, call CDFW at (916) 322-8911. The California Relay Service for the deaf or hearing-impaired can be utilized from TDD phones at (800) 735-2929.